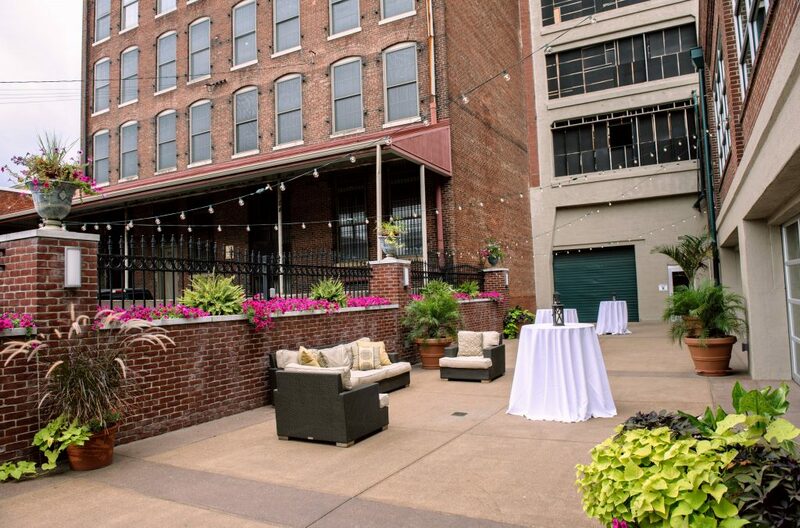 The East Terrace is located adjacent to the Main Hall, with the ability to connect the two spaces and create an indoor/outdoor function with flow and functionality. Full Service Bar on the Terrace – perfect for cocktail hour! 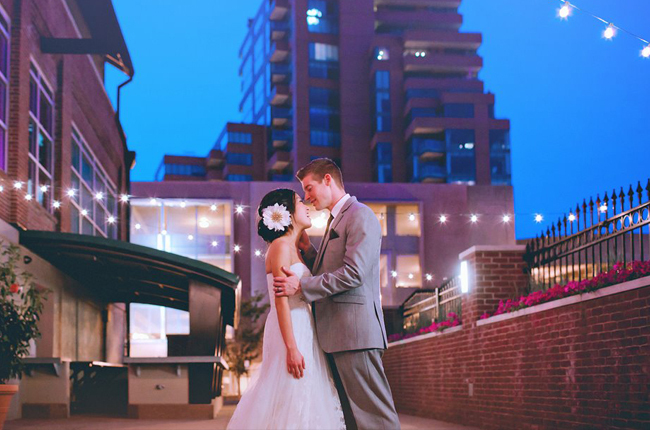 At night, we give our Clients the option to rent market lights that can be strung along the Terrace and add a romantic, whimsical vibe. The Ice House offers a set of modern lounge furniture in this space – complete with a couch and two chairs.